Discovered Intelligence is proud to announce that co-founder and Partner Josh Diakun was inducted into the 2019 SplunkTrust class at this year’s Splunk .conf18! 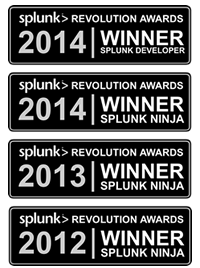 SplunkTrust members are the most dedicated members of the Splunk community. They assist other members, participate in events, demonstrate the power of Splunk’s products and services, and help identify future product needs. As a leader at Discovered Intelligence, Josh demonstrates these values every day and it is an amazing recognition of the contributions he has made. Congratulations Josh! We look forward to seeing you with your Fez!